To help the people those are affected by natural or man-made disaster with the help of technology thus providing a helping hand. 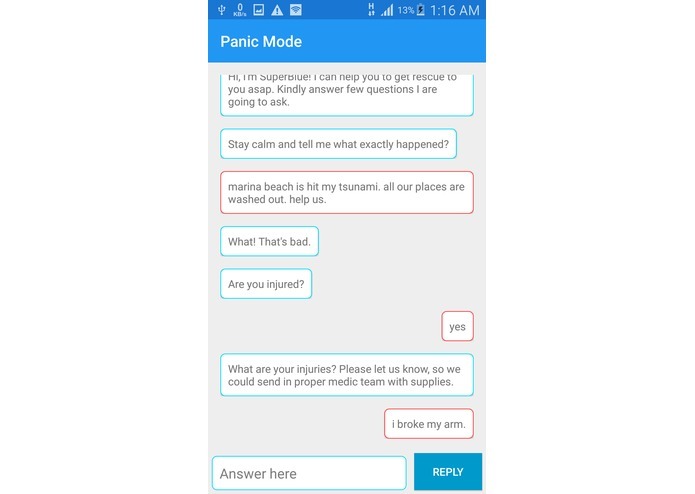 SuperBlue is an Android app which collects the data from disaster victims immediately after a disaster and does a sentimental analysis on the collected data and provide a needy interpretations to first responders or rescuers on another app named Rescue. 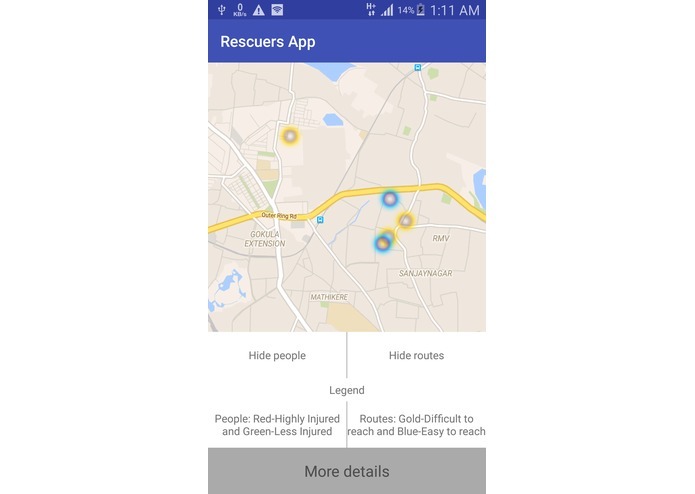 Thus automating the few of the initial steps in rescue process and helping first responders or rescuers to plan their moves for faster and easier rescue. 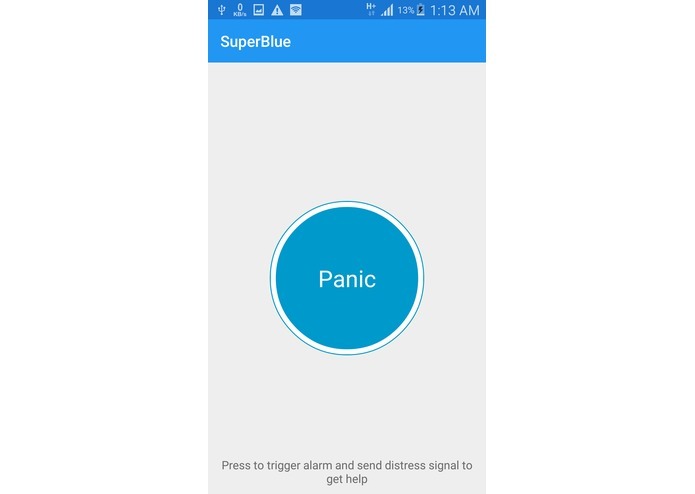 Not just that, SuperBlue would send the data collected from the victims to their family, thus keeping them connected and fear-free. 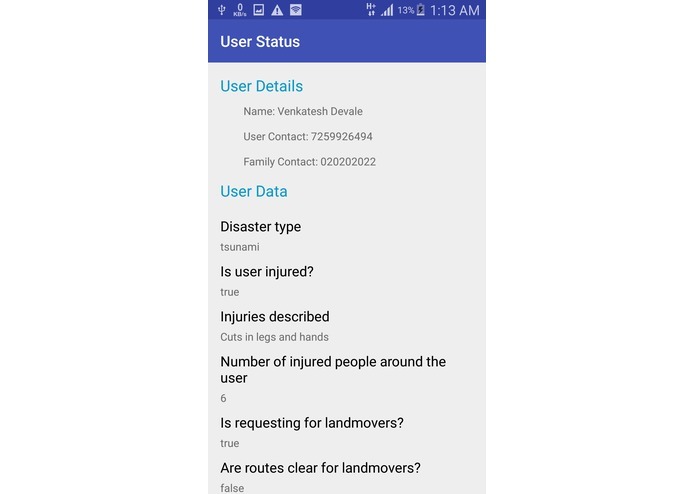 Used Bluemix's Dialog services to build Q&A feature which ask user specific questions and collects the data from the user about the disaster and send it to the cloud. 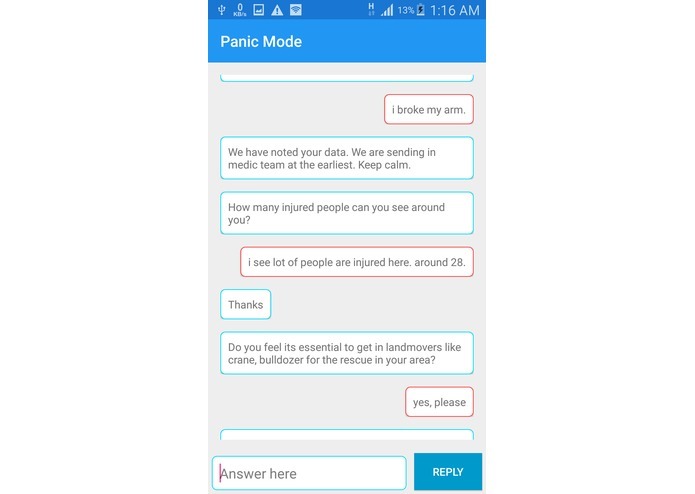 Used AlchemyApis to do sentimental analysis on users reply and recognise the urgency of first responder for a user at his/her location. 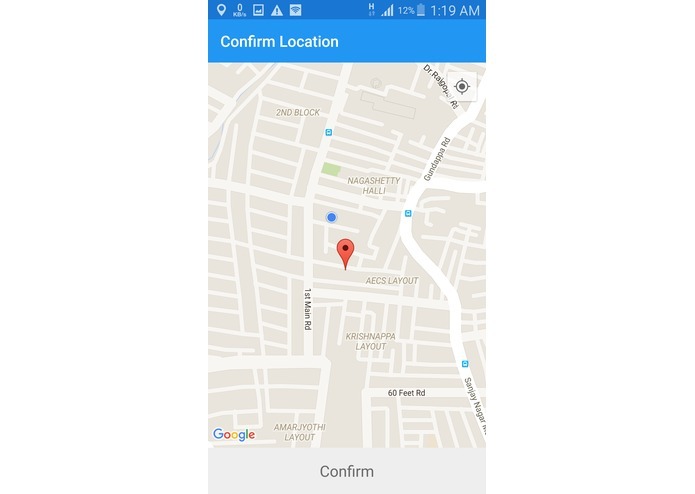 Used PUSH to send push notifications from victims to their family, to alert about the victim status and location. 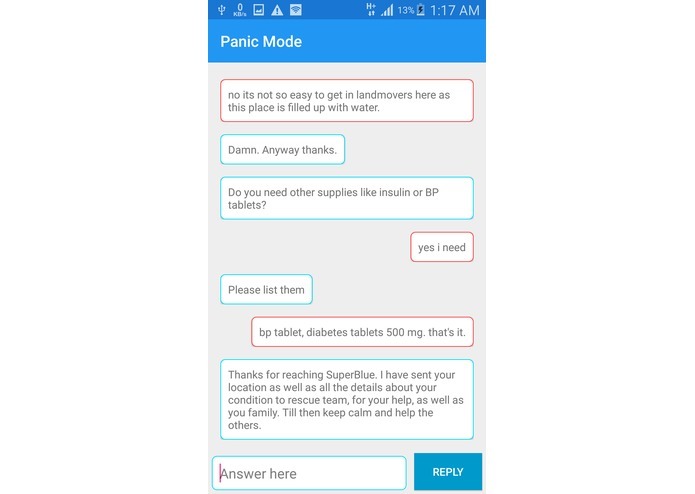 I'm proud of my app which has a potential to help thousands of people to get help at the time of crisis. I will try to make this app more matured and release to the general public.